With the holiday season upon us and many people left scratching their heads for gift inspiration, we thought we’d help out our readers by sharing some great gift ideas for the travel enthusiast. In no particular order, below are our recommendations for inexpensive travel related gift ideas. The perfect protection for your backpack when you’re in transit. The backpack travel cover is lightweight and easy to store. Simply drop your backpack into the protective duffle bag cover and lock it up. We recommend the Osprey Airporter LZ Duffle. What we liked most about the cover is that there’s only one entry point, preventing thieves from rummaging through the many pockets and compartments of our backpacks. Not only are your buckles, straps and pockets protected from damage and theft, the extra space allows you to store loose items like shoes, jackets and dirty laundry. Every tourist should carry a dial lock and cable while traveling because every city and country has thieves looking for an opportunity, so be prepared and protect yourself (your travel insurance can only do so much!). When waiting at airports, train stations or bus terminals, we always lock our backpacks and carry-on bags together. Perfect for dirty hostel beds and freezing cold bus trips that never end, the all-purpose travel blanket might be the most frequently used item in your travel bag. Even in hot climates, this versatile travel companion will be your best friend. We took many overnight buses in Asia and South America that blasted air conditioning to the point of ridiculousness, so we were thankful to have something to keep us warm. It also comes in handy when you’re sleeping in budget accommodations that provide suspicious linen. The slick Kindle Fire tablet has quickly become the popular kid in the school yard, and for good reason. Who doesn’t want thousands of books, blogs and magazines at their fingertips? For the travel enthusiast, the Kindle offers endless reading material without taking up precious space in your luggage or backpack. Load up your favourite novel for those long flights and add your destination’s travel guide so that you get the most out of your adventure. Picture this. You’re wandering the backstreets of Jaipur, India and your camera runs out of battery juice. You’ve got your battery charger handy, but it’s not compatible with India’s power outlets. What do you do?! You can avoid this common problem by carrying a portable travel plug adapter that works virtually anywhere in the world. We use the Kensington 33117 International All-in-One Travel Plug Adapter and never travel without it. If you’re traveling to tropical climates and plan to do some snorkeling and scuba diving, we recommend getting yourself an underwater camera. Even if you don’t actually use the camera for underwater activities, it comes in handy when you’re on a boat or lounging on a sandy beach and don’t want to risk damaging your expensive DSLR. We have the Olympus Stylus Tough-6020 Digital Camera and recently took these underwater pictures of the Belize Barrier Reef. It’s amazing how quickly memory cards fill up when you’re traveling. Throw in some HD video and you’re likely to run out of memory in the first couple hours! We like to take lots of photos and video when we travel so we always bring a portable external hard drive with us. We also like to back-up our music, movies and copies of our travel documents and annual travel insurance details. We like to take lots of pictures and video when we travel, so we can only assume that we are not alone. It doesn’t take much to fill up a 32 GB memory card these days so it’s important to have multiple memory cards. It’s also a good idea to download your photos and video to an external hard drive so you don’t lose everything if you get robbed or damage your electronics. You can never have too many memory cards – and they make for great stocking stuffers! If you’re shopping for a travel enthusiast that loves photography then a Gorillapod Flexible Tripod is the perfect gift, especially for solo travelers that need to use the self timer features. It’s lightweight, durable, compatible with most digital cameras and is easy to use. The adjustable legs bend so you can easily capture that postcard picture or master the art of long exposure photography. Dry sacks are the perfect travel companion, no matter where your journey takes you. Whether you’re in search of white water rapids, alpine hikes or fresh powder snowboarding, dry sacks protect your important items and electronics from water damage. They’re also useful for storing food when camping and they make for a great dirty laundry bag. Although new electronic devices like the iPad , iPhone and Kindle are changing the way travelers receive travel information, we still love carrying around a good old fashioned hard copy travel guide. We like being able to get information and maps while riding on an overnight bus or sitting on a sandy beach. When we travel to a region like Southeast Asia we like to have the regional guide book that includes multiple countries. Do you have more gift ideas for the travel enthusiast? Share your picks in the comments section below, links to specific gifts are welcome! Thanks for writing my Christmas list for me! I have already got the external hard drive though, I will say I think its a pretty essential travel asset too! Agreed – an external drive has become an essential travel companion for us! I just bought one of those Osprey LZ rucksack covers and they are really light weight and easy to use. Maybe I should have held off and asked Santa for one! Great round up of gift ideas! 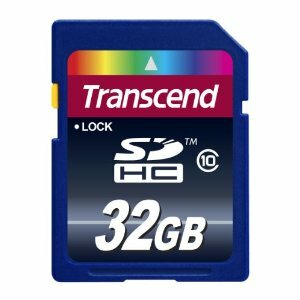 I am a leaner photographer/videographer and always in need of new SD cards and those gorilla tripods are amazing!! Aren’t the backpack covers great?! They were a last minute purchase for us that ended up being one of the most heavily used items during our travels – especially on sketchy buses and trains in India and Southeast Asia. Those are great gifts for travelers. On that, they will be able to reserve more and more stuff for their next stop! I want (or already have) almost everything on this list! Nice post. I’ve got 7 out of 11! The gorilla tripod is solid if you like shooting night shots and experimenting with different settings. I just got my new Kindle WiFi earlier this week. I love it so much! Even more than I thought I loved my Kindle first gen. I hope I get a Kindle for Christmas! Cool list! We’re looking for a new underwater camera, so I’ll check out the Olympus. Great ideas for my travel friends/family. Love it! Liked this one my Facebook to maybe give a few hints here or there. 😛 Great list! Those are some great gift ideas. We recently wrote about gifts for world travelers also but forgot to mention extra memory cards. They are always appreciated. Those are some great gift ideas. We recently wrote about gifts for world travelers also but forgot to mention extra memory cards. Brilliant ideas I Must say but I would like to add Android tablets as most of the peoples usually carry Laptops with them to check emails and stuff so Android tablets is one of the best gift. They are less in price and very easy to carry and there are thousands of apps for time pass while flying and traveling. anyways I really appreciate the Ideas you share. That underwater camera would be at the top of my list! Sweet!